These area merchants and businesses are enthusiastic supporters of The Legacy Trail and Friends of the Legacy Trail. Many of our Business Members offer discounts to our members. As they support us, we encourage you to support them by patronizing their businesses. If you would like to become one of our Business Members, click here to apply online or by mail. 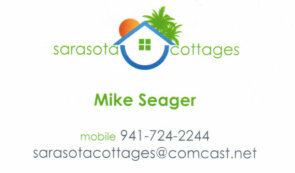 Click on the merchant’s “business card” to visit their website. Many of our business members offer discounts to FLT members. A Valid FLT ID CARD IS REQUIRED to Receive Discounts (card included in membership confirmation email). 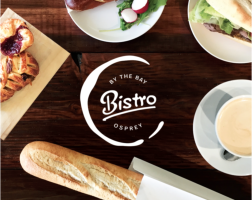 Our family run European style bistro and coffee shop offers a variety of freshly baked pastries, homemade sandwiches and most importantly a wide selection of coffee and espresso beverages. For in house and take out. Right on Tamiami Trail US 41 (North of Wal Mart) or just 1 mile west of Legacy Trail (Bay Street Station) in the Bay Street Town Center. To all Friends of Legacy Trail members we would like to offer a FREE 12 oz House Blend Coffee when you buy a pastry or sandwich. Lin and Maurice personify professionalism and integrity. Their philosophy of exceptional client service and “Relationships for Life” assures each relationship lasts far beyond the transaction process. 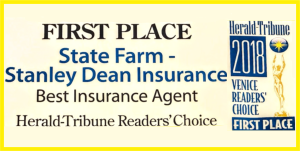 Here at Stanley Dean, State Farm, we are supporting “FRIENDS OF THE LEGACY TRAIL” by donating $10.00 cash for each non-State Farm insured that asks for an auto quote and mentions ‘The Legacy Trail’ and this offer. No obligation, no purchase required. Here at Stanley Dean, State Farm we believe in a safe and secure place where we, as Floridians, can walk, jog and bike without the risk of being injured or killed. Please call Diane or Courtney at (941) 234-0051 for your no obligation auto quote. 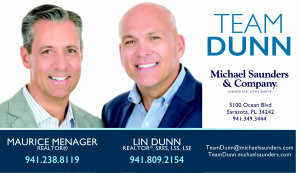 I work with buyers and sellers in the Sarasota to successfully list and sell properties while ensuring positive experiences for all parties. Osprey Junction to Legacy Park. Kids Bikes & Trailers. Helmet, lock, basket included. 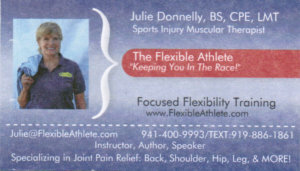 Julie is offering a 10% discount off her therapy, and also be giving a private FLT discount code to members for 10% off the Julstro System, her various books & DVD's, and the Focused Flexibility Training product. Serving the Sarasota area since 2000, Dr. O’Donoghue, a graduate of the prestigious Georgetown University School of Medicine in Washington D.C., specializes in the treatment of skin cancer and other diseases of the skin, hair and nails. We also offer an array of cosmetic services including laser skin resurfacing, Lightsheer hair removal laser, Restylane, Radiesse, Juvederm, Intense Pulsed Light Laser, laser vein removal and sclerotherapy , peels and Botox. O'Donoghue Dermatology utilizes cutting edge technology to provide the newest dermatological treatment options and cosmetic services. O'Donoghue Dermatology offers FLT members 10% off cosmetics and cosmetic procedures. 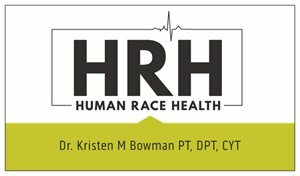 At Human Race Health we value your time and your commitment to living a more pain free, happy and active life. If you are an athlete of any ability that is looking to stay on track for your personal goals with less discomfort and injuries and more optimal health then Human Race Health can deliver. We empower the client by utilizing Physical Therapy, manual treatment, yoga, education and 25 years running experience to get you to your goals without surgery, pain medications or unnecessary interventions. 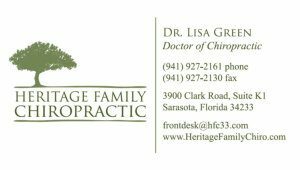 You can come see us directly without a referral! Specialties: In-house embroidery and screen print t-shirts, logos, custom designs, monograms, gifts. We give you options! Provide own items or our line of apparel and gifts. 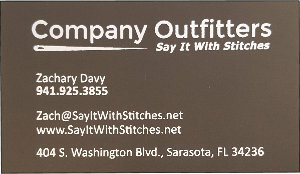 No minimums on embroidery services -- orders completed within 5 business days. 10 days for screen printing. 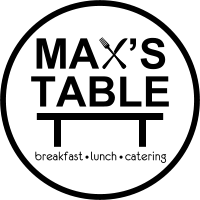 New breakfast and lunch eatery in Osprey. Great breakfast dishes, sandwiches, paninis, salads, gyros, tacos and more. Everything fresh and made to order. Serving wine, beer, mimosas. Open 7 days a week from 7:00am to 2:30pm. 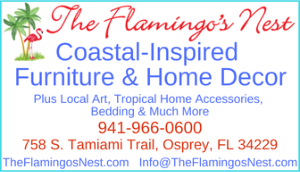 115 S. Tamiami Trail, Osprey (just north of Walmart). Stop in and enjoy a relaxing stroll through our beautiful tropical oasis. See you in paradise! It is the passion and vision of Paisley Chiropractic to serve the community with the natural means of chiropractic care, ensuring optimal health and performance while creating the best quality of life possible for all of our patients. 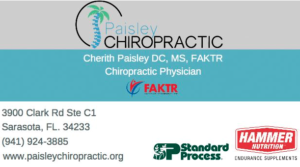 Dr. Paisley is committed to providing chiropractic solutions to address your unique needs, whether you are experiencing back pain, neck pain, headaches, muscular tightness and tension or just looking to improve your overall health. Dr. Paisley also treats sports injuries as he is a competitive cyclist and runner as well and all too familiar with many of the aches, pains and injuries that athletes experience. To FLT members, Dr. Paisley offers a discount of $25 off of your first visit. 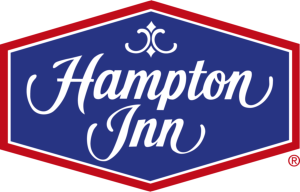 Bike or Walk The Legacy Trail located adjacent to this beautiful hotel! 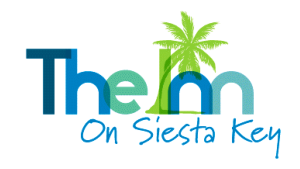 It’s a great place to unwind -- conveniently located just minutes from Venice Beach. 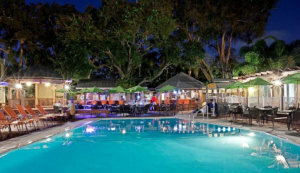 Enjoy a free hot breakfast and free wifi and coffee in every room, relax at the pool, work out at the gym. ENJOY YOUR STAY! The physicians of the Silverstein Institute offer the most advanced diagnostic and specialty care for disorders including hearing loss, tinnitus, Meniere’s disease, dizziness and balance disorders, sinus disorders, and voice loss/hoarseness. 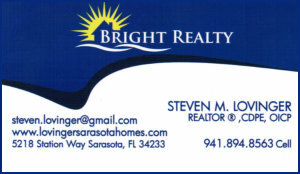 Offices in Venice, Sarasota and Lakewood Ranch. Our docs are Friends of the Legacy Trail! Mary Tamez has been practicing massage and energy work locally for the past five years and a passion for holistic health, natural living and bringing awareness to people about their mind-body connection. She specializes in Swedish, Deep Tissue, and Trigger Point Therapy. Mary values her clients, working with them to create therapeutic and relaxing sessions. Also a certified yoga instructor, she incorporates yogic thought and stretching into her massages. All first time clients will receive a 10% discount. Location: 423 S. Washington Boulevard, downtown Sarasota. 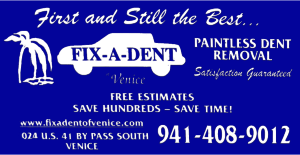 FIX-A-DENT deals in a revolutionary process to remove minor dents, dings, and creases from automobiles. Full body and paint shop. 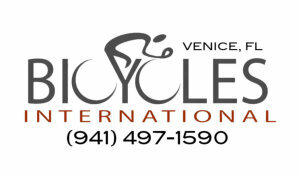 We also offer bicycle rentals. 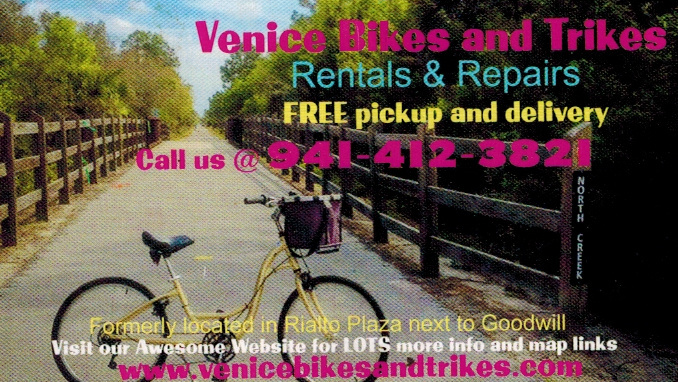 We are conveniently located near the Venetian Waterway Park trail at mile marker 2.75. 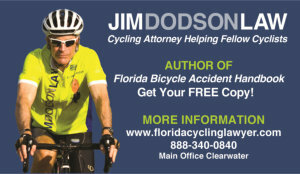 Free bicycle usage while having painting or dent repair. Call for more information. Llewellyn Insurance Services is a family owned and operated independent agency. For over 25 years we’ve been doing business to help people. We have relationships with dozens of insurance companies. Whatever your history, we find the right coverage, with the best company, at the best price for you. We work for you. Call us -- we'll get you covered! 478 B US41 ByPass N.
Beth "Annie" Stockdale Certified Personal Trainer ​/ Health Coach​. She will customize a fitness and nutritional program to help you achieve your optimal health​: ​weight loss, rehabbing an injury, building strength ​/​endurance​. Utilizes most current equipment and science to meet your goals. For FLT members: free physical and nutritional assessment (body fat / muscle testing / measurements / pH testing). 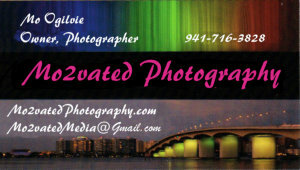 10% off any session package purchased. We love our communities more than bacon. That’s why we’ve partnered with awesome organizations like Share Our Strength for years – to help give back to our communities that have given First Watch so much. 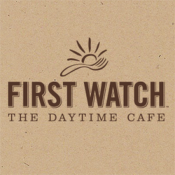 First Watch supports community events through sponsorships and in-kind donations. Dragonfly is a Living Arts center that incorporates yoga, ayurveda, meditation addressing the body, mind and spirit for 'Transcendent Health'. We have yoga classes that are guaranteed to fit your active lifestyle. Come fly with us! Free first yoga or aerial fit class and $10 off first monthly membership package or $20 off quarterly membership package for FLT Members. 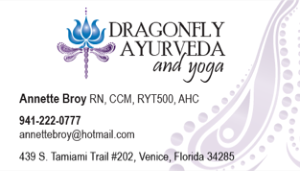 Annette Broy is an RN, Certified Case Manager, NAMA Certified Ayurvedic Health Counselor, International Yoga Therapist Association Certified Yoga Therapist, a Registered E-200 and 500 hour Yoga Alliance Yoga Instructor and a Certified Yoga Alliance Continuing Education Provider. Mission: to create parks and protect land for people, ensuring healthy, livable communities for generations to come. Every park, playground, and public space we create is an open invitation to explore, wonder, discover, and play. We've been connecting communities to the outdoors—and to each other—since 1972. Today, millions of Americans live within a 10-minute walk of a park or natural area we helped create, and countless more visit every year. Doctors Hospital of Sarasota is a 155 bed, acute care facility serving the healthcare needs of Sarasota County and 1-75 corridor residents. All patient rooms are private with personalized care for the patient’s comfort and privacy. Doctors Hospital is a Joint Commission Certified Advanced Primary Stroke Center and a Society for Chest Pain Centers Accredited Chest Pain Center as well as one of Modern Healthcare’s Top 100 Best Places to Work for six years in a row. We provide medical and specialty services as well as outpatient services and diagnostic and rehabilitation services. We have designed our facility with the patient in mind to provide an easily accessible hospital that meets the growing and changing healthcare needs of the communities we serve. We buy direct which brings you huge savings and great quality. 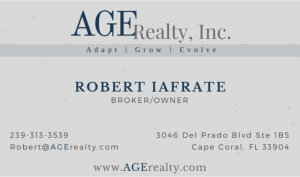 To make the real estate process as easy as possible for our buyer or seller clients in the Cape Coral area. To listen and understand our client situations and their expectations. To provide you with consistent, reliable information and be honest & responsive. To make sure that you are well-informed and well-prepared. To uncover or create opportunities for you. To maintain sustainable growth through relationships and business investments. To achieve this we will continue to adapt, grow and evolve our business through professional and ethical development. 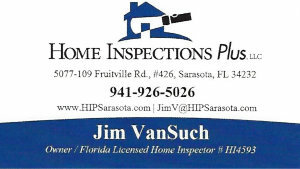 We will measure our success by our quality of service. 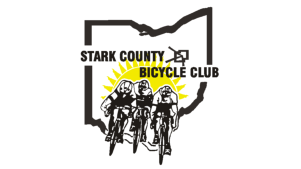 We are a 501c3, non-profit organization dedicated to bicycling for recreation, fitness, exercise, sport and transportation. 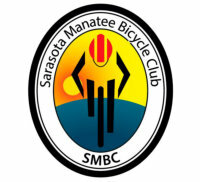 The club takes an active role in the Sarasota-Manatee area to further the interests and safety of all bicyclists and to the improvement of bike infrastructure. Whether you’re new to the sport or a seasoned rider we’ve got a group and a ride for you. Our rides are open to members and non- members alike. Check our rides and events calendar for a listing of current and future rides. 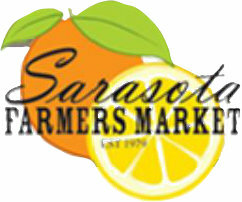 We currently have a full market that includes 70+ vendors and over 5,000 square feet of produce and plants. 37 years and going strong. Our organization has 500 members and offers over 1200 rides a year for experienced to new riders. SCBC also conducts several tours every year that are open to all members. We are involved with numerous projects to promote safe cycling in our community. 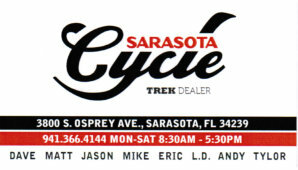 Friends of The Legacy Trail members receive 20% off any product in the office. We offer everything from preventative to restorative dental procedures and everything in between. I strive to help people obtain a beautiful, healthy smile with a gentle, comprehensive approach. I feel a person's smile is their greatest asset. New Image Dentistry offers 20% off dental services for FLT members. 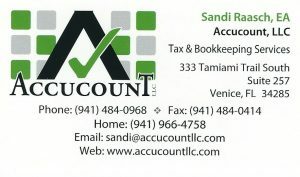 We offer face-to-face tax preparation in our Venice office. 15% discount on tax returns for all FLT members. bicycle shop with no attitude you've found it ! POPcycles is the bike shop for all of us casual lifestyle bicycle riders. We love beach cruisers, upright trail bikes and sporty stylish sport bikes. Elite Velo Sports, is a Female Cycling Gear Company for cyclists, created by a cyclist! Our mission is to create cycling clothing you are proud to wear! Our products are great quality gear. Whether you want to ride 15 miles or 100 miles. We make our Kits bright so you will BE SEEN and noticeable by motorists. We hope it will inspire you to ride more! Visit our site at www.elitevelosports.co . We hope you enjoy the ride! Free bike necklace with every kit order! Promo code "Friendsofthelegacytrail". Over ten years of design experience. Logo design, business cards, brochures, wedding invitations, menus and so much more. Check out Mad-Visuals, LLC Facebook Page to see her designs. 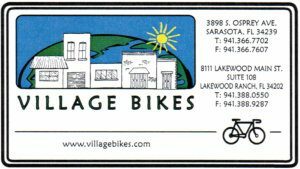 We deliver bikes to & from The Legacy Trail. 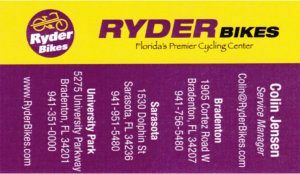 Bicycle and Kayak Rentals Sales, Repairs & Accessories. Rental Delivery to The Legacy Trail. 10% discount on food items. *This business does not have a web site. a wonderful place for our monthly meetings. 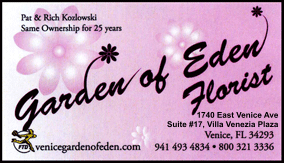 Specializing in fresh flowers & silks for all occasions. Voted “Best of the Best” in Venice.